Erin C. - "Promoting my two petitions at http://www.thepetitionsite. "Promoting my two petitions at http://www.thepetitionsite. My Sites -- Please Check Them Out! Wild Fact About Me I play nine musical instruments. Hoo-rah. What Gives Me Hope This website & the people making daily contributions thereto. If I were Mayor, I'd make the world a better place by Eliminate political parties & divides, enstate fair trade laws around the world, extend the olive branch to all foreign diplomats, and pass laws to protect the worlds oceans, rainforests, and all endagered species. Scratch that, all species in general. What/who changed my life and why I have the best parents in the world. They have always inspired me to do the best that I can, and to achieve all of the things that I want for my life. I wouldn't trade them for the world. Aww, thank you for the birthday wishes, ladies!! It was definitely a great one!! Thanks, ladies, for your great pictures & videos. I always appreciate when you share!! Anyways, I got another great quote today, enjoy! : "Our task must be to free ourselves by widening the circle of compassion to embrace all living creatures and the whole of nature in its beauty." To all of my friends, potential friends, or those just visiting, please check out my petition. It's general & really speaks to everyone involved with this site. 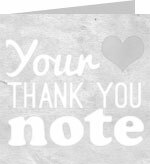 Thank you in advance for at least taking the time to read it, and also for stopping by.